The legendary Ho Chi Minh Trail – the main artery of supplies for the North’s war effort – was not one path but many, leading through the jungles of the country’s mountainous western spine. 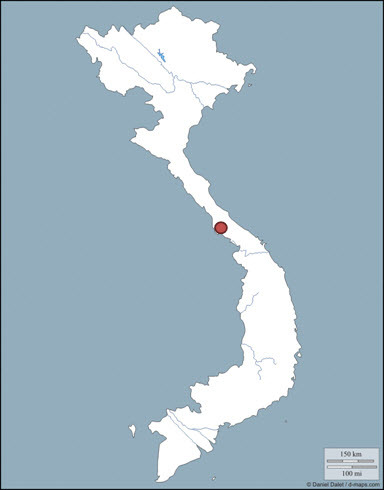 In an effort to cut the line near the border, the Americans established a series of bases along Hwy 9, including (from west to east) Lang Vay, Khe Sanh, Ca Lu (now called Dakrong Town), The Rockpile, Camp Carroll, Cam Lo, Dong Ha, Gio Linh and Cua Viet. Ultimately their efforts were unsuccessful. The site of the most famous siege – and one of the most controversial battles – of the American War, Khe Sanh Combat Base sits silently on a barren plateau, surrounded by vegetation-covered hills that are often obscured by mist and fog. It is hard to imagine as you stand in this peaceful, verdant land that in early 1968 the bloodiest battle of the war took place here. 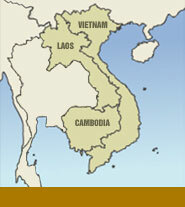 About 500 Americans (the official figure of 205 was arrived at by statistical sleight of hand), 10,000 North Vietnamese troops and uncounted civilian bystanders died amid the din of machine guns and the fiery explosions of 1000kg bombs, white-phosphorus shells, napalm, mortars and artillery rounds of all sorts. A couple of bunkers have been recreated and some photos and other memorabilia are on show. Behind the main site, the outline of the airfield remains distinct – to this day nothing will grow on it. Some of the comments in the visitors’ book, especially those written by visiting war veterans, can make for emotional reading.